More Royal Wedding games from Chaos Created have just been released as our first batch of games has already gathered over 10,000 plays! As a natural extension to the Royal Wedding, we have developed interactive resources to help your pupils study the topic of kings and queens in general. TESiboard have chosen 24 rulers from across the globe whose influence has been felt throughout the ages and commissioned Chaos Creative to build these activities. Aimed at KS2, the resources present the information in a variety of formats, providing useful secondary sources for research and models for the pupils’ own writing. This Information Book has simple text, illustrations and pop-ups of additional definitions on each page. This is an alternative way of presenting the subject information. 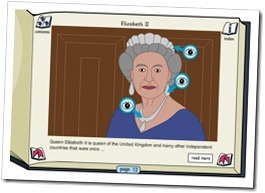 It allows pupils to search for information safely, in a carefully-written and closed environment. Pupils use the links to navigate around and find key items of information or enter their own search criteria. The Glossary presents the information in an alphabetical list format. This activity allows pupils to select up to 8 rulers in each set of commemorative stamps, promoting sorting using themes. 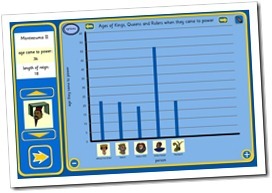 Pupils can create bar charts to compare ages of coming to power and length of reign. This leads to setting questions to analyse the data. 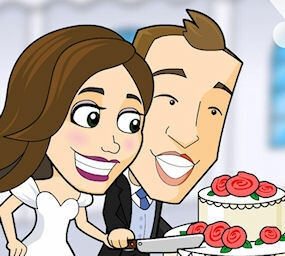 These activities were developed for Key Stage 1 and Key Stage 2 pupils and are the second in a series of Royal Wedding activities that will be released by Chaos Created through TSL between now and the royal wedding which takes place at the end of the month.